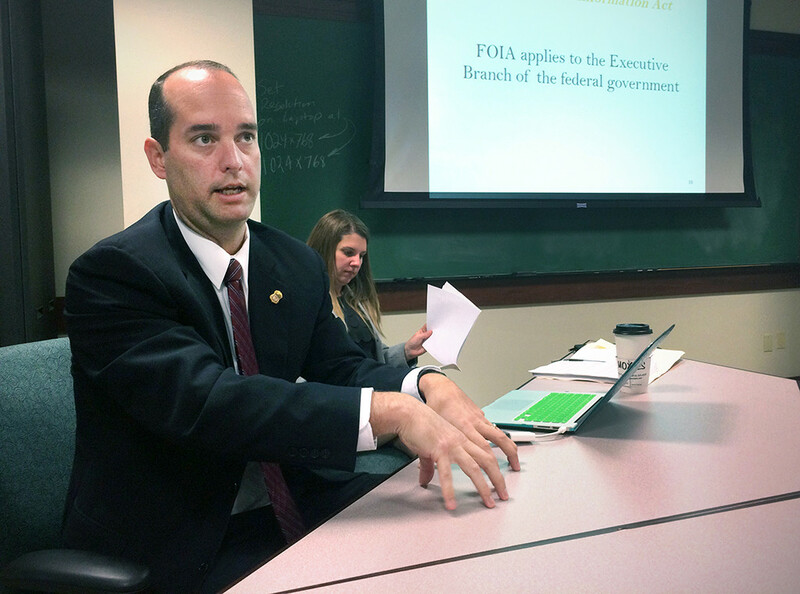 Flynn started off the discussion reviewing the Freedom of Information Act with the members of the AEJMC Scholastic Division at the Poynter Institute. “FOIA is a very small part of what we do.” Still, it costs the government a lot of money. There were about 755,000 FOIA requests nationally in 2014. In 2013l, they cost the government about $419.6 million for processing and $27.18 million in litigation-related costs. They recouped $4.3 million from fees assessed. 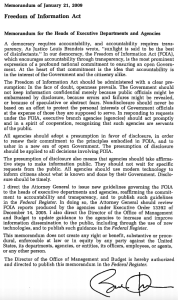 FOIA only applies to federal agencies. All states have similar laws. Flynn and Filjones also discussed how U.S. President Barack Obama has directed government agencies to make information available. The statistics show that government officials are releasing documents. They also show, however, that people are making more FOIA requests. 49 percent of documents requested were released in full. So, another 42 percent were redacted in some form. When a citizen makes a request, government officials search where the information is most likely to be. FOIA requires that the search for records be adequate and not exhaustive. A legal search might have to be exhaustive. Flynn advised individuals making FOIA requests to be as specific as possible when making them especially if they know where the records are located or who has them. The most challenging requests are the ones that are too broad. 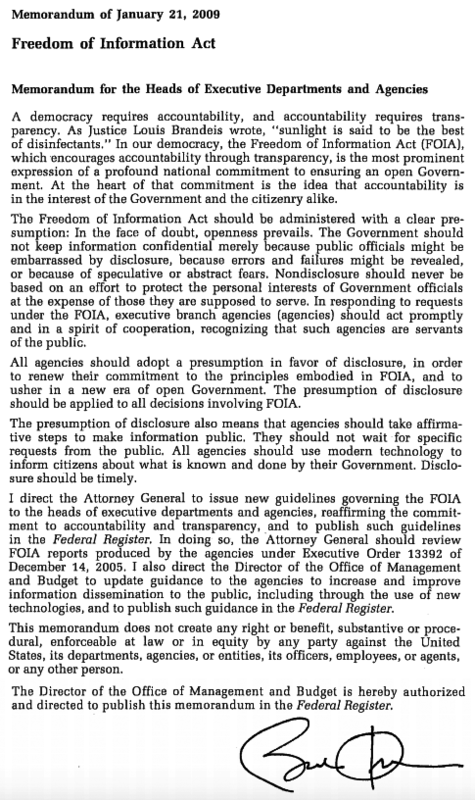 When FOIA requests go down the wrong path, it’s usually because the request was too broad. The natural instinct is to make a broad request. However, Flynn advised people to make the request as narrow as possible to get the information required. The sister act to the Freedom of Information Act is the Privacy Act. There are exemptions to FOIA including national security, personal privacy, privileged communication and law enforcement. But routine emails, for example, would not be exempt. “We disclose emails all the time in the Department of Justice.” Even government voice messages are recorded and retained now. While Flynn said, “We’ve tried very hard to make it more efficient,” one deterrent is the fees including compensation for time to do the searches and duplication costs. “Favored” searches — including most news media outlets and educational institutions — only pay for actual duplication costs. Often fees can be waived. And Flynn said more and more departments just put all their documents online.